Monday, April 22, 2019 is a student holiday. Juan Seguin Elementary, located off Main Street, is nestled in northern Weatherford. Our location allows for easy access to downtown Weatherford and our surrounding communities. Seguin is a Title I Pre-K through 6th grade bilingual campus that serves approximately 615 students. According to the 2015-2016 Texas Academic Performance Report, 62% of our students are on the free and reduced meal plan. 25% of our students are English Language Learners. 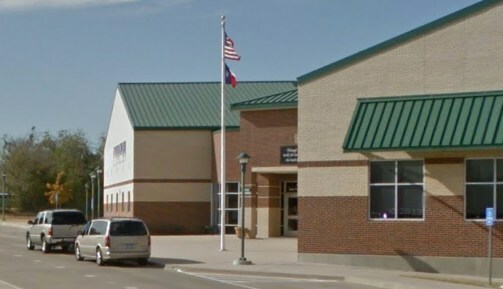 Seguin received a “met standard” accountability rating from the Texas Education Agency. In addition to the “met standard,” Seguin also received a distinction designation as “Top 25%- Student Progress.” We are very proud of our distinction as we pride ourselves on our partnerships with our students, families, and community members. Seguin’s focus is on your child. The faculty and staff work hard to ensure that our students leave here lifelong learners who are ready to succeed in the global community. This year we added Club Hour on Fridays. During this time, students chose an interest club that they would like to attend. Our faculty and staff members sponsor the various clubs. We have a variety of clubs such as Spanish Club, Fitness Club, Wildflower Club. In addition to our Club Hour, our students participate in Maker Space during time in the library. Students also have the opportunity to join the Seguin Singers! During weekly collaboration time students receive instruction from the counselor, the librarian, and an art teacher. The Seguin faculty includes our principal, assistant principal, counselor, 31 classroom teachers, 1 gifted & talented teacher, 2 special education teachers, 5 specialists, 11 instructional paraprofessionals, and 2 administrative paraprofessionals. Together we work with our students’ families and local businesses to create a safe, innovative, fun learning environment for every child. We are a family! We are a team! We are Seguin!